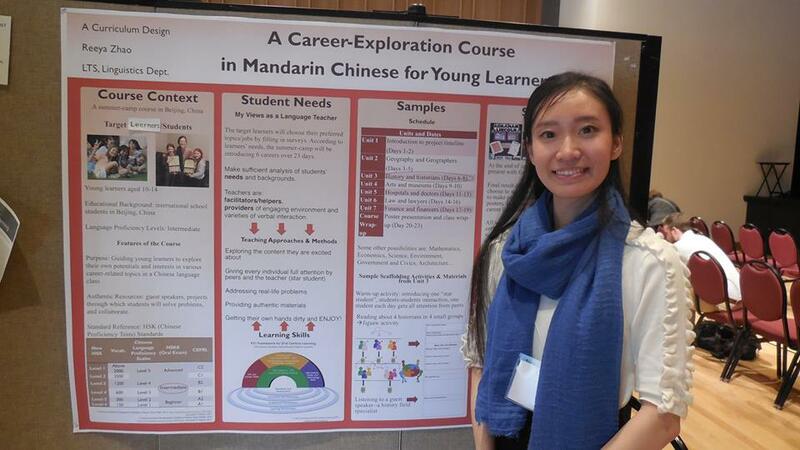 Li-Hsien Yang graduated from the LTS Program with her MA in 2011. Since then, she has had a very interesting career in language teaching. We asked her to share some highlights. I started my journey as a Chinese Flagship GTF (I believe they call it GE now). I started at the Center for Applied Second Language Studies (CASLS) in 2010 as an LTS student, and I have been working at CASLS ever since (I signed my contract in the morning of my Terminal Project presentation day). What could a be better surprise than an actual employment contract? I began my first official job title as a Chinese curricula assistant. I worked with the curriculum team for various online Chinese learning projects, Chinese assessment item writing, and grading. 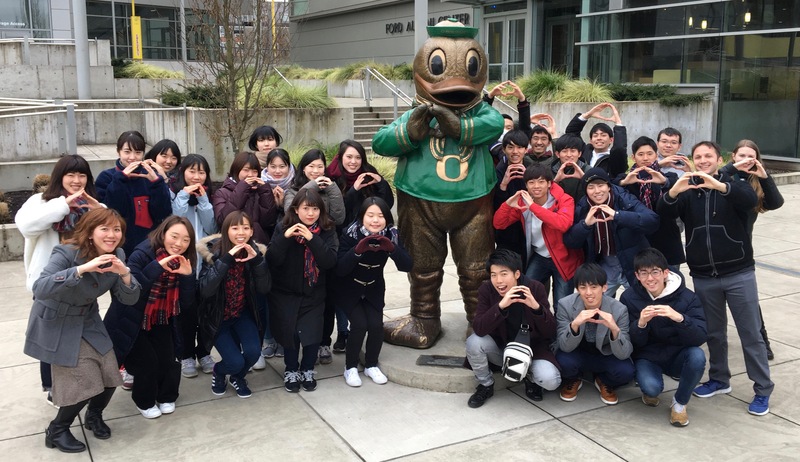 Gradually, my role shifted toward working with specific international students. Currently I work with partners overseas to do customized programs for international students. 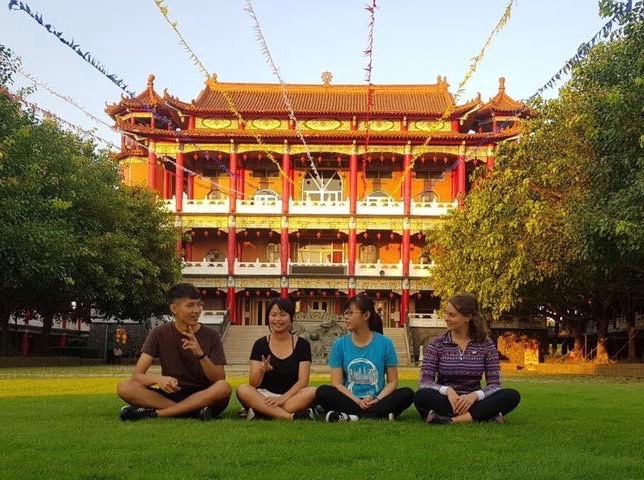 I develop programs from 3 weeks to 10 months long with integration of intercultural experiences, place-based theme module learning about global issues, language pedagogy and American education systems. Every year, I have about 70 students on campus or in the community for various purposes. What jobs or activities in the field of language teaching have been most interesting for you? I love my current job. I am able to develop a program from a program design prospective, but I also get to do the nitty gritty logistics such as course syllabi design, lesson plans and both summative and formative assessments. I am always stimulated by my students’ enthusiastic positive energy and beautiful smiles. 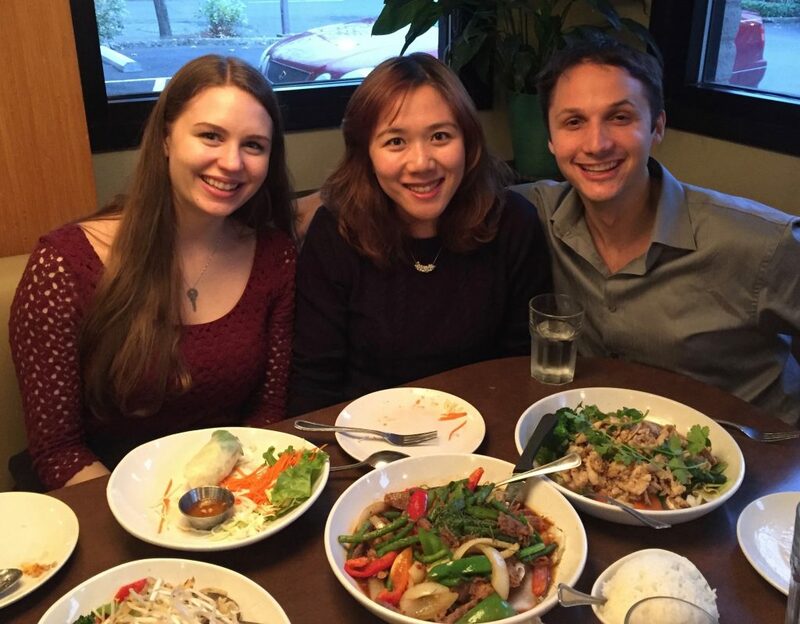 This is the most rewarding part in the world languages field, to work with international students. I love to try new ideas on my students and this has been very fun and full of surprises. What advice do you have for new language teachers? There is no perfect lesson plan. I have been getting more interested in gardening, and I have started planning what to plant this year. Also, I enjoy trying different cuisines and having great conversations with diverse people. Thank you, Li-Hsien! We wish you much continued success in the field of language teaching–and a great garden this year! 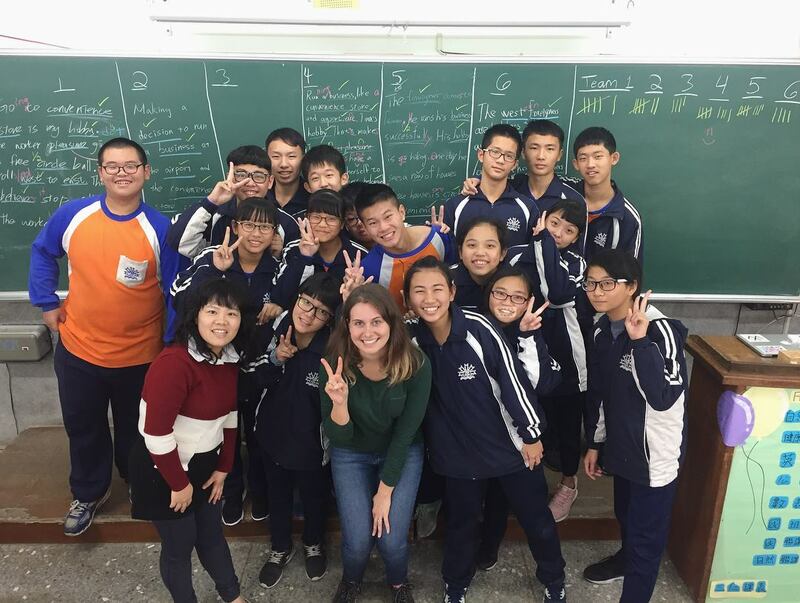 Recent LTS graduate Devon Hughes (Fall 2017) spent her final term in the program as the first Fulbright Taiwan FSE Teacher Practicum Program Grantee (based out of Changhua County). 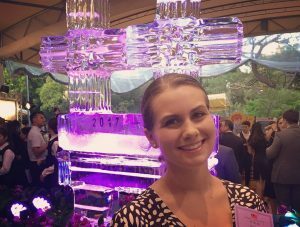 We were delighted to find out more about her exciting adventure. What were your main activities and responsibilities? 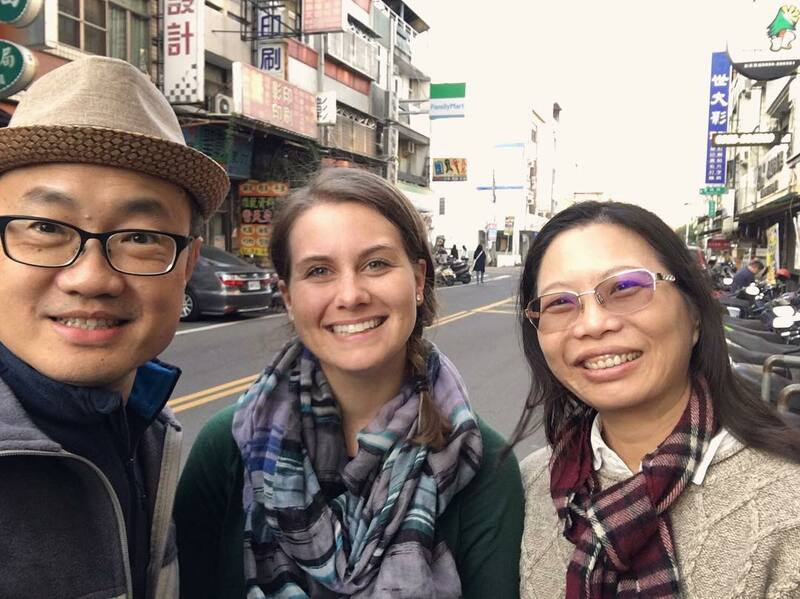 As I was piloting this internship for both LTS and Fulbright Taiwan, I got to determine my own schedule and duties, with the guidance of a local English resource coordinator. I set three primary learning goals from which came my activities and responsibilities. First, I sought to gain experience teaching in junior high EFL classrooms while encouraging and developing EFL students’ learning motivation and ability. I did this by teaching weekly at three junior high schools in Changhua County. 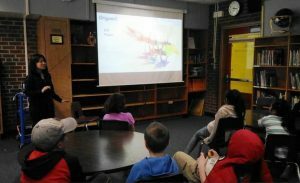 I also observed and presented at various schools around the county. Second, I wanted to broaden my perspective – as well as that of the local teachers and students – on international issues while gaining insight into the Taiwanese EFL education system at all levels. I worked toward this goal in various ways. 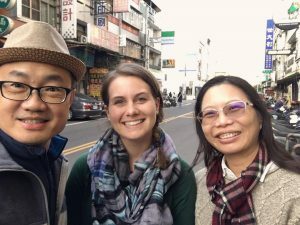 I traveled around Changhua County to observe and chat with both Taiwanese and native English-speaking teachers about their classroom experiences, techniques, and views on local and federal education policies. 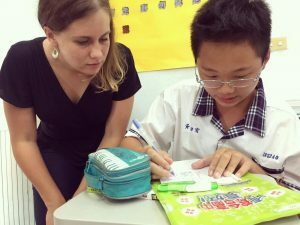 I was an observer and occasional guest lecturer in two undergraduate TESOL courses at the National Changhua University of Education. I also participated in English military service officer meetings at the Changhua International Education and English Teaching Resource Center (CIEETRC) so to learn how military officers with advanced English proficiency and experience living in English-speaking countries support their schools’ English language learning goals. I even attended an international conference with the CIEETRC director on international education for primary and secondary schools. My third learning goal was to assist in developing English teaching resources and materials and to share English teaching strategies with Changhua County English teachers. I did so by working weekly at CIEETRC on materials development, delivering professional development workshops, and meeting with elementary and junior high school teachers and principals. Together, we worked to increase critical thinking and English use in Changhua County classrooms. What were some of the highlights of the experience? How much time do you have? Haha! Speaking of cool people, I got to see some familiar faces while abroad. 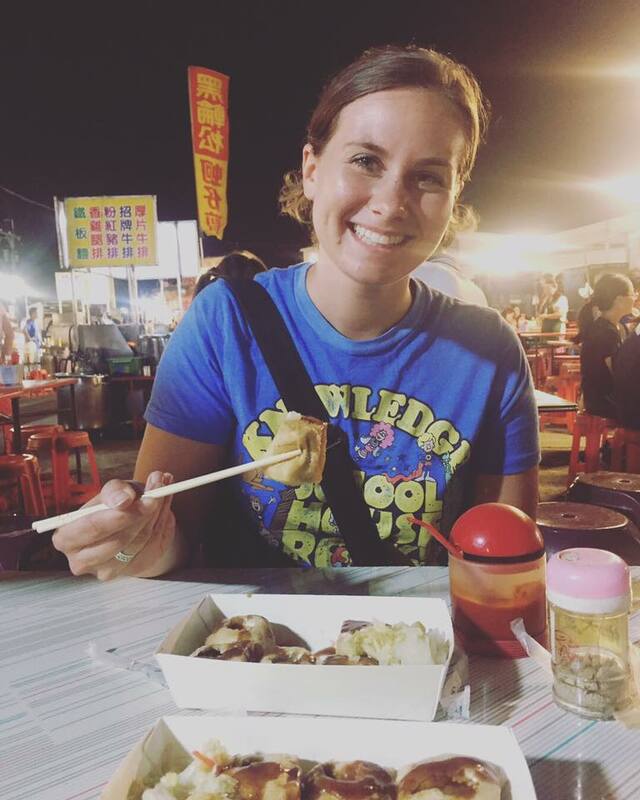 The night I arrived in Taiwan, I had the great fortune of crossing paths with friend and former AEI colleague Rachel Drummond. 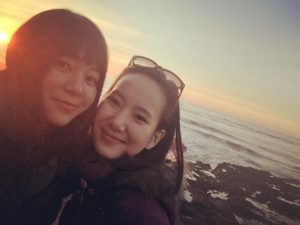 She introduced me to another former UO duck, Lydia Shen, and we went out for massages and food at a local night market. Words can’t describe how incredible it was to arrive in a foreign place and immediately connect with a dear friend. A few weeks later, a former AEI student from Taiwan visited me and took me out for lunch and groceries. Such meetings with friends throughout my stay made “halfway around the world” feel like a much smaller distance. Speaking of travel, many highlights were my weekend trips around the island. Solo trips were made easier by Taiwan’s wonderfully efficient public transportation system. I got to explore big cities like Taipei and Kaohsiung, as well as natural sites like Taroko National Park, the central mountains, Penghu (an island archipelago off the west coast) and the southern beaches. 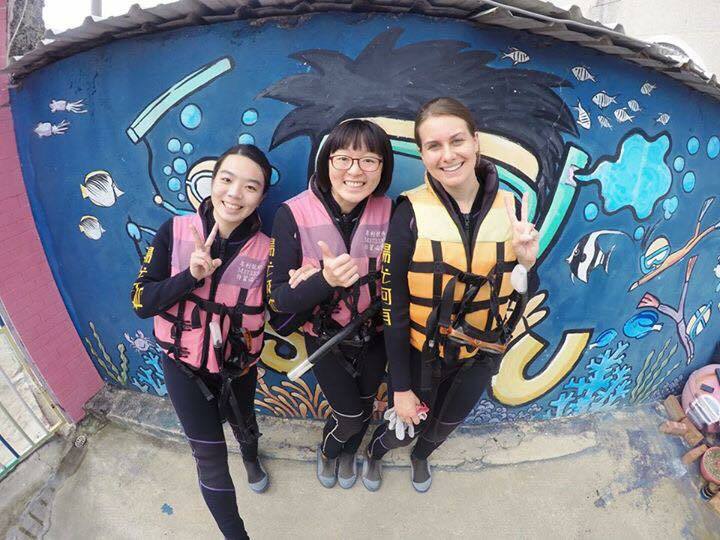 One fond memory was snorkeling with a small group of Taiwanese tourists and feeling the language barrier fade away as we squealed and pointed out clown fish and coral. Okay, one final highlight: I was staying in one night, scrolling through my LINE (social media) contact list when I suddenly realized that around 95% of my contacts were newfound Taiwanese friends. 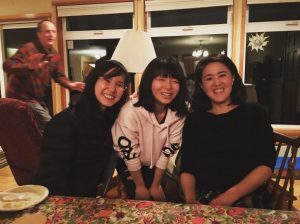 This may sound unremarkable, but to me it was wonderful because I had lived abroad before and had found that ex-pats tended to gravitate toward each other and make insular friend groups. I went to Taiwan hoping for a different experience. A more immersive experience. So, when looking at that contact list of colleagues, university students, and random friends, I felt a wave of gratitude. I had travelled alone to somewhere new, where I didn’t speak the native language, and had managed to make friends! I believe this is largely in part to how generous and warm the Taiwanese people are. Did you face anything especially surprising or challenging? Yes, both. Some major challenges in the classroom were a) teaching junior high school students beginner-level English while keeping it interesting and relevant b) working with some students only once due to a quantity over quality approach and c) what my colleagues and I perceived as an overreliance on the L1 (by both teachers and students). I had many conversations with fellow teachers, professors, and the CIEETRC staff about how to best tackle these issues. My biggest challenge, however, was not in the classroom. Halfway through my stay in Taiwan, I was involved in a head-on car collision during a trip in the mountains with a colleague. 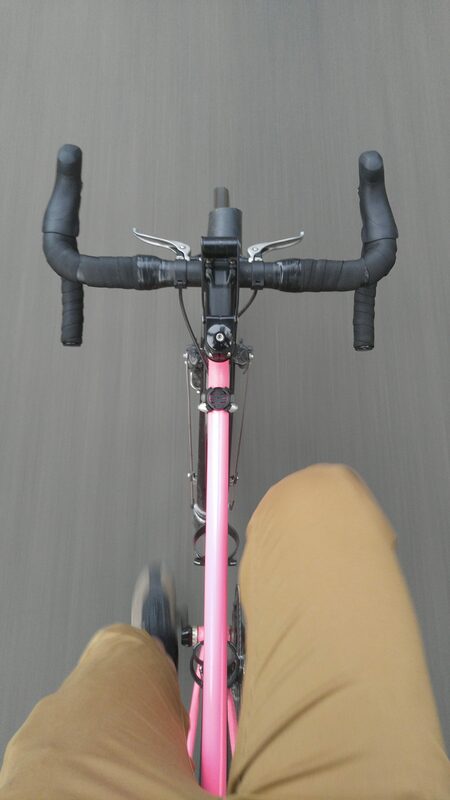 Thankfully, neither of us were injured, and I had friends and strangers help me back home to Changhua. Being involved in an accident so far away from loved ones was scary enough, but another, more traumatic car accident years ago made this situation even tougher to process. I found myself faced with the question, “Am I going to make a ____ decision out of fear?” Was I going to cut my internship short and return home? Would I avoid taking car and scooter rides? Would I keep traveling solo? I am so glad I had a support network both at home and in Taiwan to help and encourage me through that time. As for surprises, I was taken aback by the instant warmth and generosity of the people I met. I received so many thoughtful gifts and invitations. I can never pay them back for their kindness! Another surprise was the peace that comes from feeling safe (almost) all the time. It’s wonderful. Taiwan is one of the safest places in the world. Experiencing that… travelling without fear (though always with a proper level of precaution), walking down streets without comment, getting lost with little worry… was a breath of fresh air. meals, collard greens cooked in pork fat, and beef stew that rivaled my grandmother’s. It was wild to try a “new” food only to discover that it tastes like home. How has this experience contributed to your strengths as a language teacher? 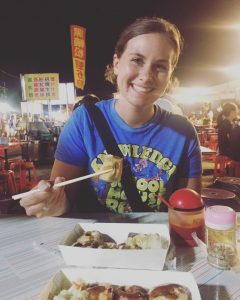 My time in Taiwan helped me become more of a self-starter and willing to take risks, both in and out of the classroom. Since it was such an intense experience, I had to be flexible in new, high-stress situations, while remaining mindful of the needs of my students, co-teachers, and stakeholders. It made me a more well-rounded teacher as it provided me the opportunity to work for the first time with junior high students and beginner proficiency levels. I also honed my class observation and teamwork skills through multiple classroom visits and later discussions with colleagues. I also led several professional development workshops, which forced me to stay current and mindful of my own teaching practices. 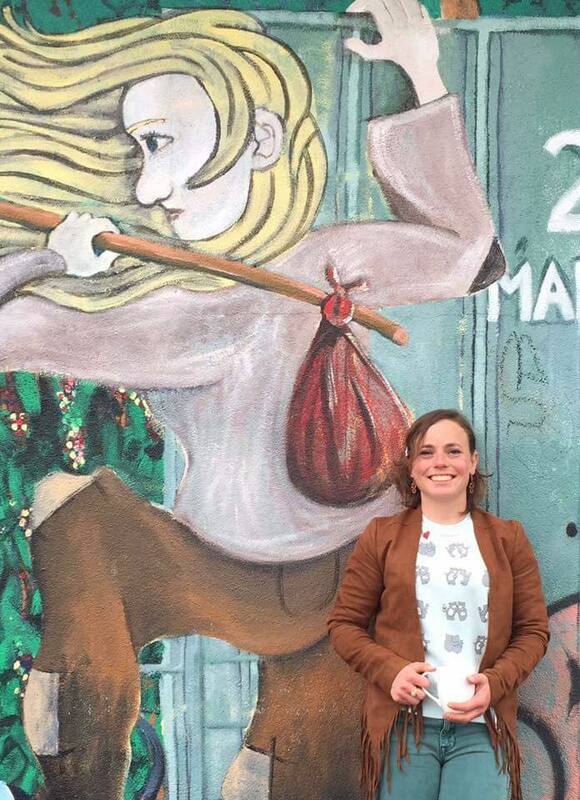 Finally, this experience abroad fostered in me a greater empathy for language learners. Living halfway around the world in a foreign language environment is a very humbling experience! Is there anything else you’d like to share with us about this experience? If you get the chance, visit Taiwan! You won’t regret it. Especially if you’re a tea drinker. The best oolong! What advice would you give an LTS student who is planning to do this internship in the future? If it makes time and money sense, go for it! Be flexible and ready to say “yes” to any opportunity. What you put into it is what you’ll get out of it (if not more). Yet, also remember to check-in daily with yourself and take care of yourself! LTS student George Minchillo submitted this report on LTS alumni currently teaching at Tokyo International University. George is there now serving as an intern and will graduate from University of Oregon at the end of this term. 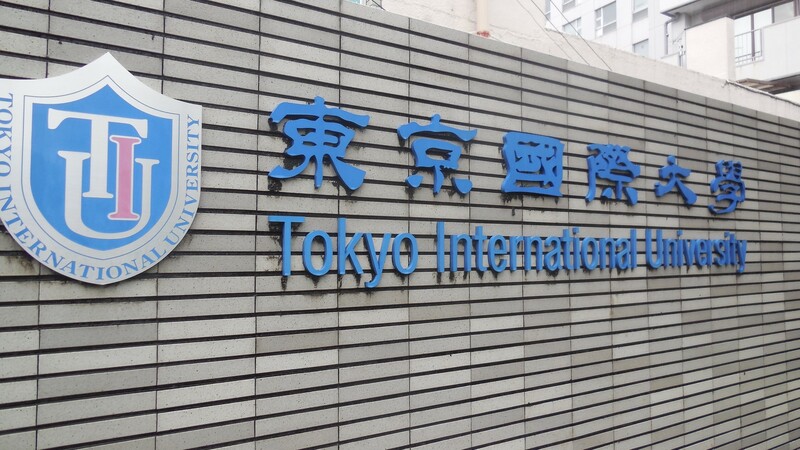 Welcome to Tokyo International University! 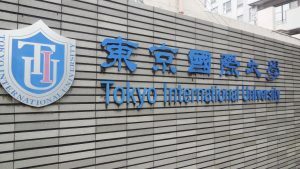 Tokyo International University is a Japanese university in the greater Tokyo area. 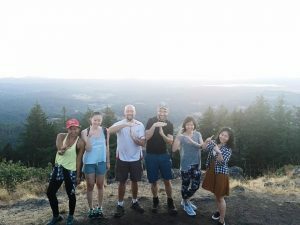 Although the Global Teaching Institute (the university’s English language program and faculty) has only been around for close to 5 years, you wouldn’t be able to tell from its staff of about 50 instructors and the wide variety of activities and events that it sponsors for the university and surrounding community! 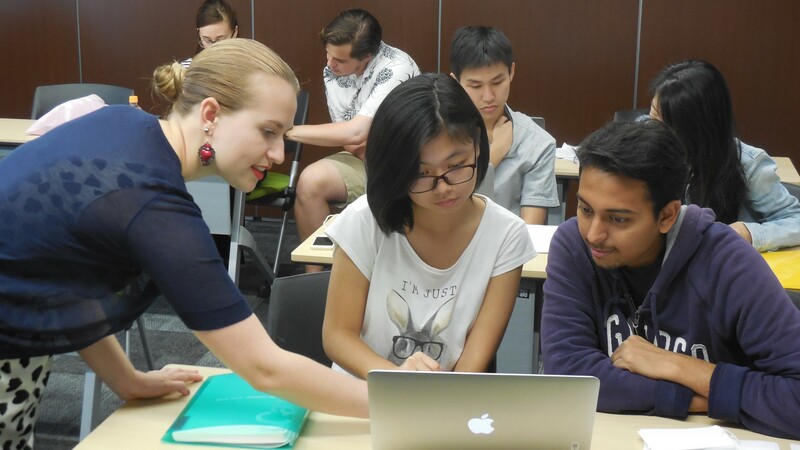 One of the biggest and most important missions of the GTI is cultural globalization and international cooperation, which is evidenced by the E-Track program (English Track: classes are taught primarily in English with some Japanese as a Second Language courses) comprised of students from many different countries who have come to Japan seeking a degree in Business, Economics, or English communication. The other program the GTI offers is the J-Track (Japanese Track: mostly Japanese students earning a Japanese degree) and this is comprised of the required English courses that all students at the university are required to take. Six LTS alumni are currently members of the TIU faculty: Becky Lawrence, Ryan Felix, Annelise Marshall, Brandon Bigelow, Kodiak Atwood, and LeeAnn Genovese. Becky Lawrence showing her Basic Writing student a photo about her experience at a Japanese festival. What classes do you teach at TIU? Becky: I teach four classes in the Global Teaching Institute. Three are core classes for J-Track students learning English. For these core classes, I teach Sections 3 and 4, which are pretty beginner levels (the levels go from 1-28). 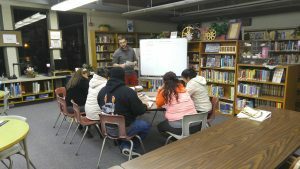 I teach English Comprehension (Reading) to both Sections 3 and 4, and Basic Writing to Section 4. 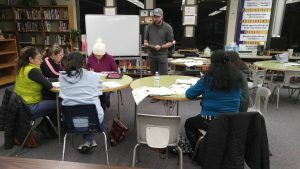 The other class that I teach is Advanced Reading and Writing, and I teach the highest level of this particular class, which is an elective for J-Track students who are mostly juniors and seniors. I really enjoy all of my classes because they each present unique challenges. I like that I get to experience teaching beginner students and advanced students at the same time. It makes me more creative, and I regularly use techniques and activities that I learned in LTS! Ryan Felix warming up his students with an exercise in frequency adverbs! Ryan: I’ve been at TIU for four years now! 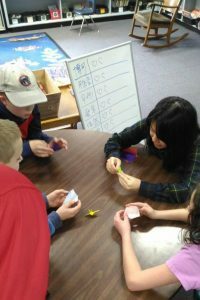 Each year I’m assigned different classes to teach; this year I have reading and writing classes with Japanese students. I’ve also been teaching public speaking for the last three years in a separate program for international students studying business or international relations. At first, I was nervous about teaching it, having little public speaking experience myself, but I’ve learned so much! Brandon: I graduated from the LTS program in 2013, and have been at TIU since September 2016. 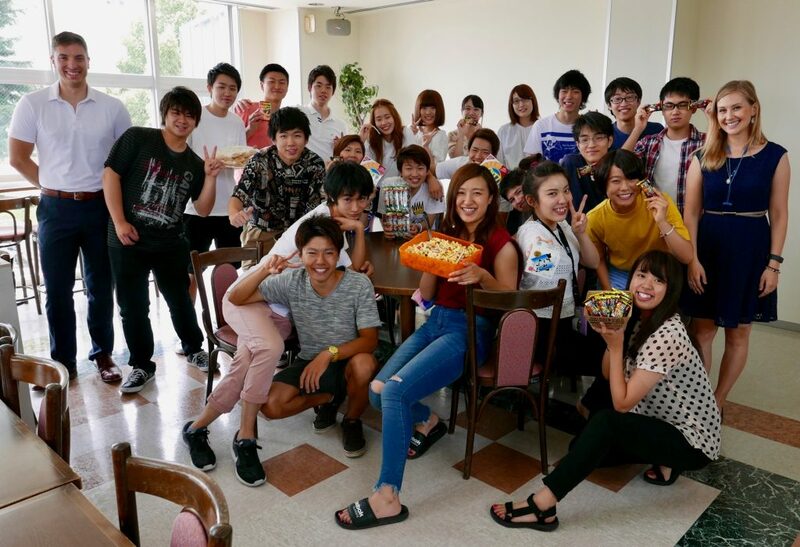 I teach English Comprehension and Basic Writing for freshmen Japanese students. 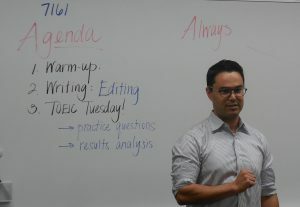 I also teach Academic Composition for international students from countries including Vietnam, Uzbekistan, and Indonesia. Kodiak Atwood posing for a photo with his students and co-teacher. Kodiak: I’m currently teaching two listening classes and one speaking class to Japanese freshmen. The Japanese freshmen are really fun to work with and I have a lot of room to experiment and try new things out in the classroom. 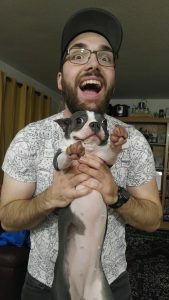 I’m currently implementing a gamified curriculum where all of the students are characters in a role-playing game and that’s going really well! I also teach an analytical reading and critical thinking course to international students. The international students are all advanced and occasionally native speakers, which is a welcome challenge and change of pace. We are able to cover really interesting topics and discuss complicated issues in class that I normally wouldn’t be able to do.Annelise: This year I’m teaching first year listening and speaking classes and a composition class focused on research writing. George: I’m here as an intern, so I’m not regularly participating at the front of a classroom. However, there will be weekly opportunities for me to run a variety of workshops based on topics, skills, or functions that interest me (and hopefully interest the students). I also get to participate in a series of workshops for local Honda employees who are coming to the university for TOEIC training. Which committee are you a part of? Becky: All faculty are part of a specific committee that works to provide students to GTI faculty and students and make the GTI and TIU the best university it can be. I’m the SLI (Student Leadership Internship) Coordinator, which means that I work closely with J-Track and E-Track students who work part-time in the English Plaza. 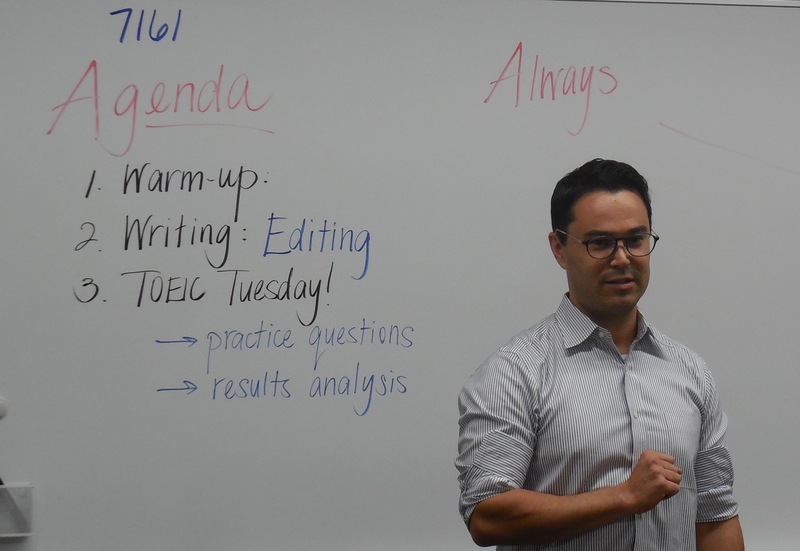 As Faculty Advisor, I’m responsible for ensuring that they have the support and training that they need to make the English Plaza a welcoming and educational place for all TIU students who want to come practice their English. Annelise Marshall working with students in her Academic Composition class. Ryan: I’m part of a committee that’s responsible for gathering and creating materials that teachers can use in their lessons. 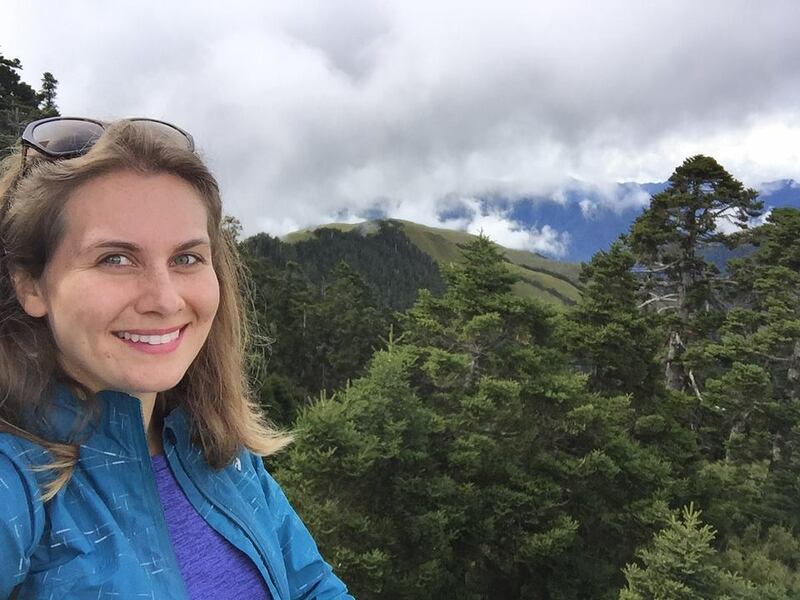 LeeLee: Kodiak and I started our coordinator role: International Education Team. We started this role based on our observation that there is a lack of support for students interested in going abroad not related to the ASP (American Studies Program). The ASP is the largest study abroad program we have through TIU, where we send 120-130 students to Willamette University in Oregon for 10 months. 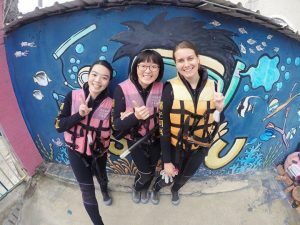 ASP students have a lot of support, but other study abroad students are left to figure life out on their own. 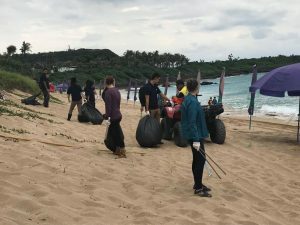 So, we decided to start doing what we could to help them. 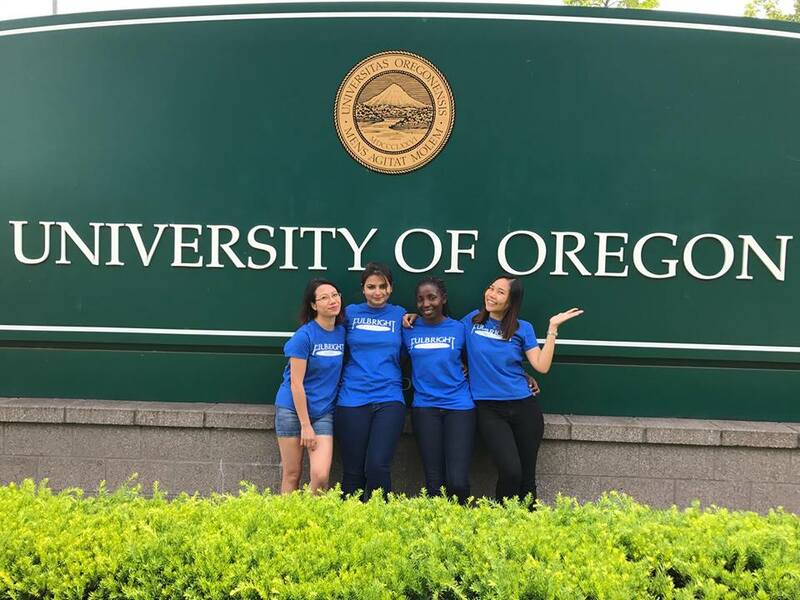 We do things like pre- and post-study abroad orientations, we advise and help students through the process of finding programs, we have even interviewed applicants to go abroad, and kept up communications with students as they were studying abroad. We have held multiple study abroad fairs in conjunction with the IEO (International Exchange Office). We discovered, encouraged, motivated and mentored international students (E-Track) currently at TIU to give cultural and educational presentations about their home countries in our plaza! Kodiak: I am one of the International Education Coordinators. 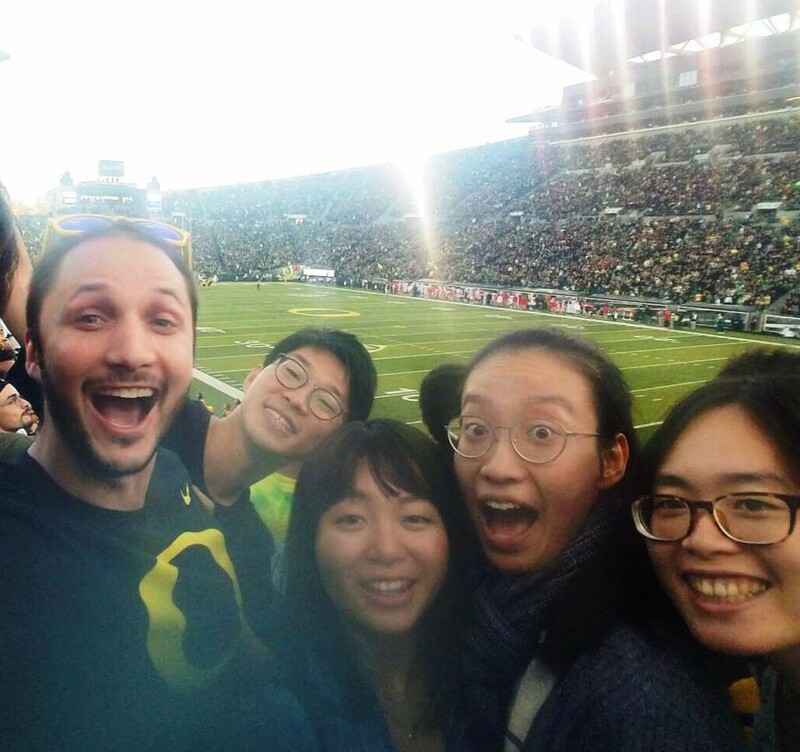 We are responsible for giving study abroad students the resources they need to be successful, creating opportunities for students to experience different cultures, and promoting internationalism around campus. 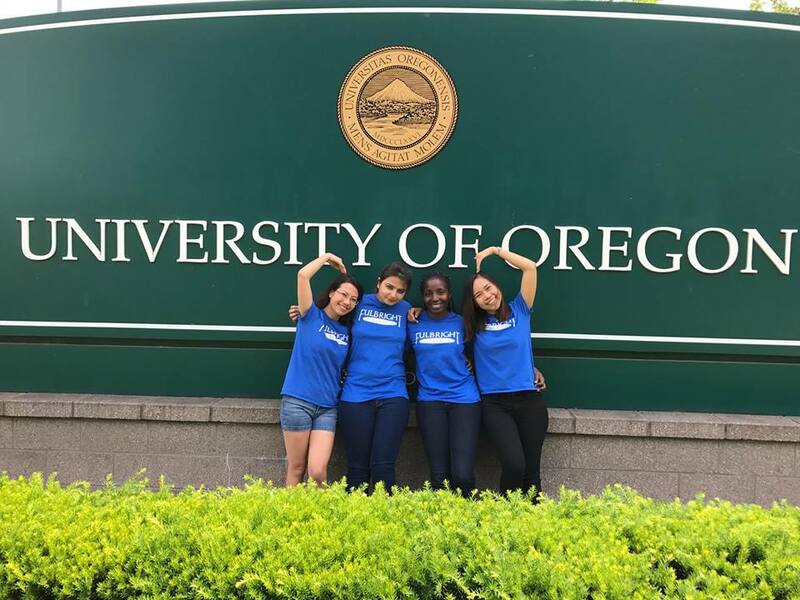 We have been responsible from organizing the annual freshman trip to Oregon each year and give workshops and lessons related to study abroad. Brandon: My committee focus is with the English Plaza Library, where I help maintain over 2,500 English books and continually add new and diverse options. George: As the intern, you get to participate in all of the committees! I have a weekly rotation throughout all of the GTI committees that allows me to familiarize myself with their roles and duties, as well as help out with any of their current projects. At first it can be a bit overwhelming, but it’s also a unique opportunity and very insightful to see how the entire program comes together as a whole through these committees. 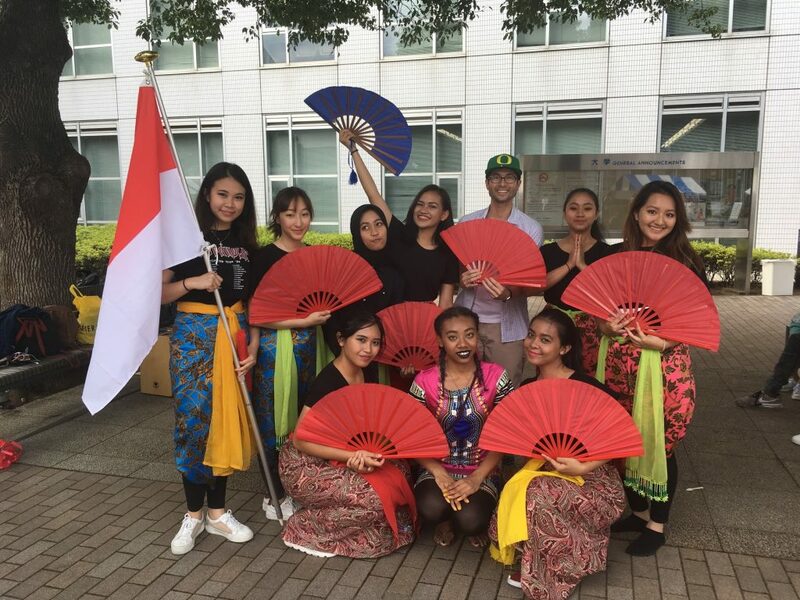 Brandon Bigelow posing with a group of students representing Indonesian culture for the TIU international fair. What else do you do at TIU? 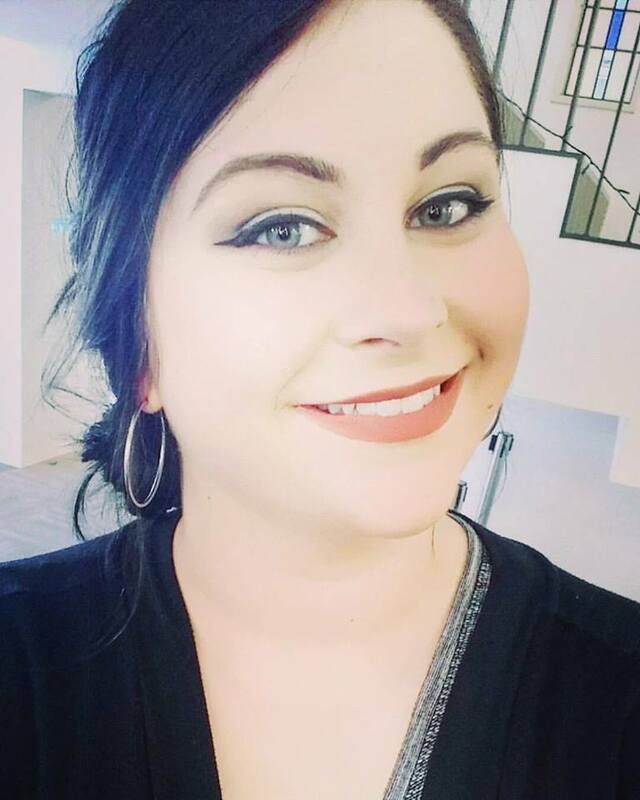 Becky: In addition to teaching, all faculty have to participate in either English Lounge, which is conversation time with students, or Academic Advising, which is helping with homework and essays. I chose to do English Lounge because I love talking with students every day. It’s awesome watching them blossom and try out new vocabulary and grammar as they talk about subjects they’re interested in. Brandon: Additionally, I have the opportunity to chat with students on comfy couches about less formal, relaxing topics during English Lounge time. 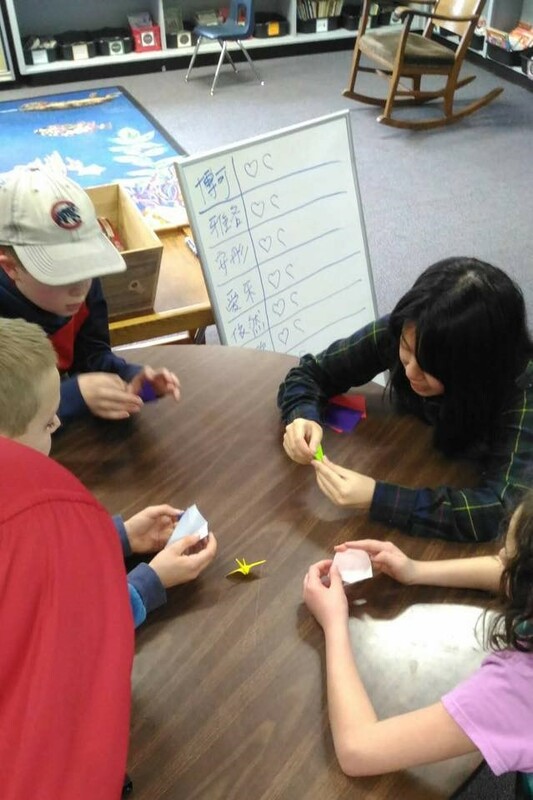 Annelise: I also supervise the English-Speaking Society, a student-led club concentrated on using English for discussion and formal presentations. 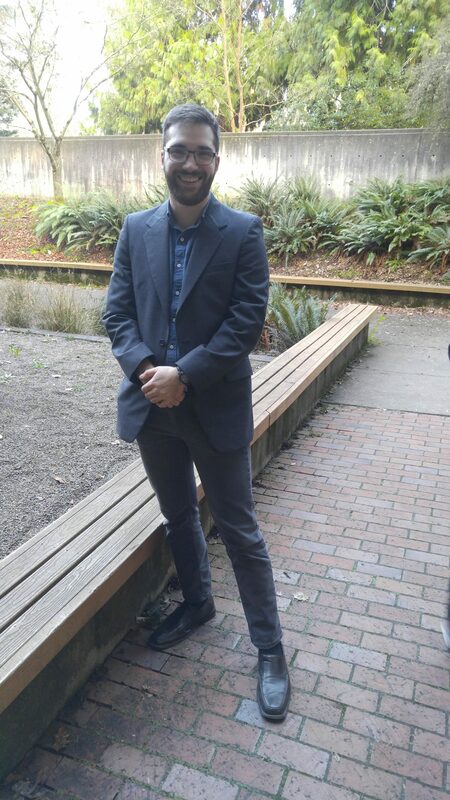 George: I also get to participate in English Lounge and Academic Advising, which is pretty similar to the Conversation Partner program at UO. This has probably been my most favorite part of being at TIU, just because the students are fun to hang out with. 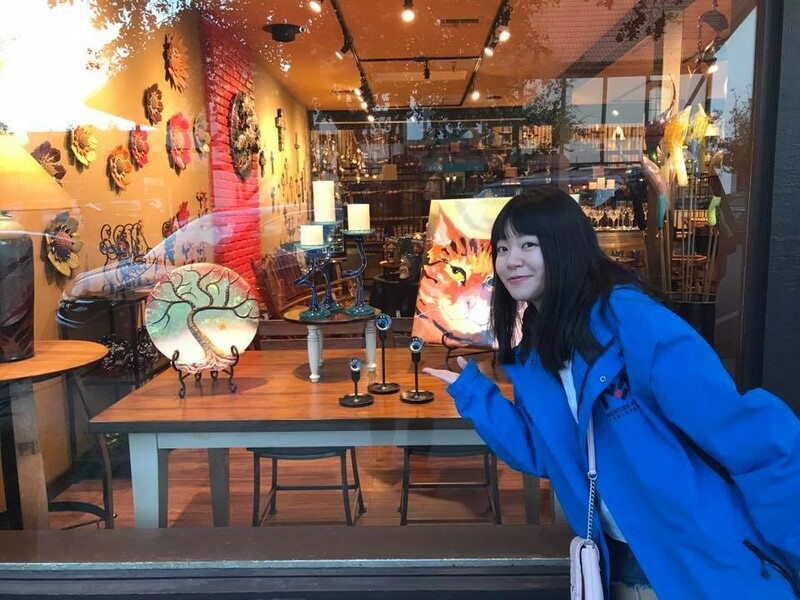 At first it’s a little bit intimidating and it can be difficult to think of what to say, but then you realize that most of the students just want the opportunity to learn more about people from other countries and it becomes a very relaxing, fun experience. Anything else you would like to share about TIU? Becky: I really love working at TIU for many reasons. I love the wide range of students that I get to teach. I also love the working environment. All of the faculty are friendly and supportive. It’s nice to come to work and enjoy the people I am working with. It’s definitely like a family! We do things outside of work together, which is really nice when you’re living in a foreign country. It’s also nice to have a co-teacher that shares my same students, because we can plan our classes together and lean on each other for support. Not really TIU related, but I also really enjoy the Japanese semester system, because we have lots of vacation time. I’m looking forward to exploring South Korea, China, Thailand, and Taiwan in the upcoming months! Finally, I really love that I have a network of LTS alumni here at TIU. It feels like a little piece of home even though I’m thousands of miles away! 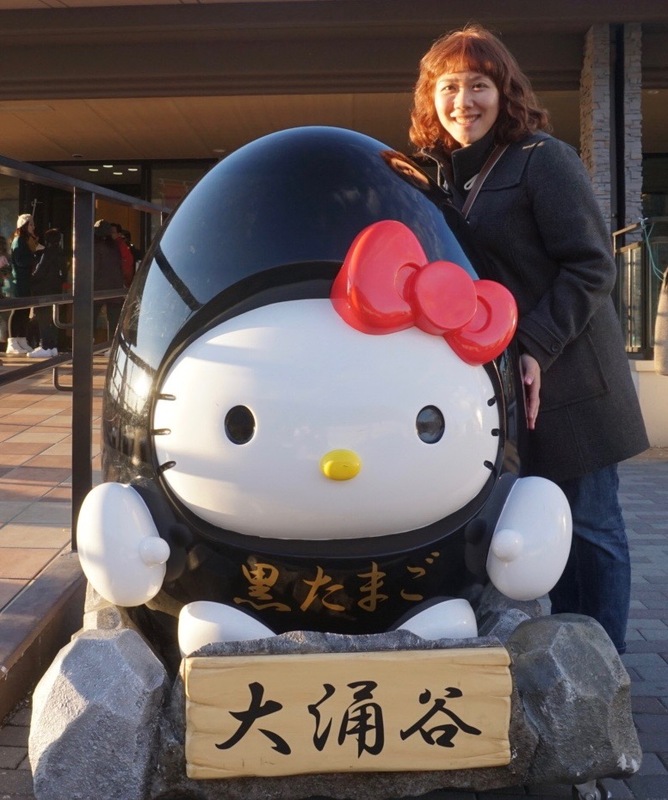 Ryan: Teaching in Japan and at TIU has been an invaluable experience. I’m learning another language and culture—making friends and participating in local events has been personally very fulfilling. I’m also getting a better sense of what it means to be a professional in this field. Being a member of the Japanese Association for Language Teaching gives me access to talks and literature, as well as my own professional development opportunities. A great big thank you to LTS professors, and our great leader, Keli, who prepared us well to be in the field. It’s working!! 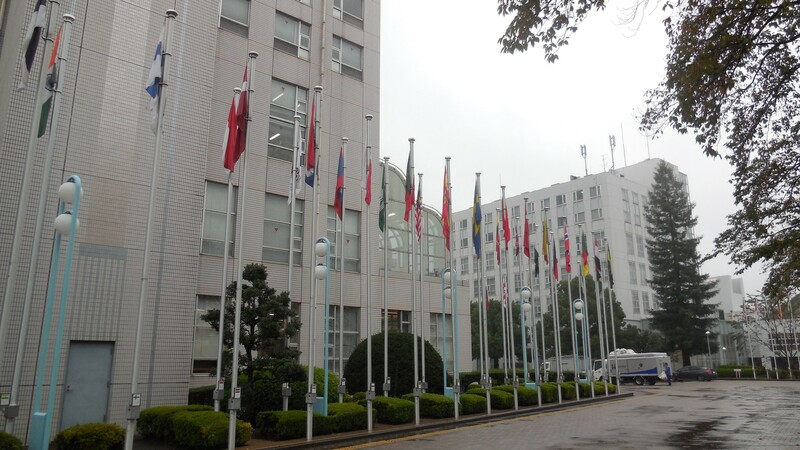 Walking into the TIU Campus Plaza, one can view the flags from many nations around the world. Annelise: I love that at TIU I get to work with both Japanese students and international students from all over the world! Brandon: TIU is incredibly welcoming. There is abundant respect and consideration for both the students and instructors. Being a part of the TIU community has been a true privilege. Kodiak: I really enjoy working here! My coworkers and students are great, the class sizes are small, and I am able to try new and interesting things out in the classroom! George: One of the best things about TIU is that the working environment is very low stress. In my previous experiences studying Japanese and learning about Japanese culture, I had heard that the working environment in Japan is often one of high stress and long work hours. While each member of the GTI team is certainly busy, and may occasionally need to work a few additional hours, there is no sense of stress and everyone really seems to enjoy their time here. I really hope that I can become part of the team myself one day!